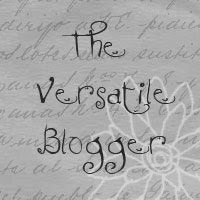 Circular Insanity | A Shopaholic's Guide to Shoes, Beauty,Books and Reviews | Beauty Blog: The Versatile Blogger Awardsss!! Coming back to the awards, umm, I got an offer to buy something for Christmas and I turned it down ,hmmm I think something is seriously wrong with me! I can read any crappy book and watch any crappy movie for the sake of it! I sleep or I talk (or I shop for that matter:P)! This was hard work, trust me!